The inventory list is a very useful template that can help people keep track of what they have. It is absolutely free to download and provides a simple way to improve organization, as well as ensure that there will always be enough of any type of product on hand at a given time. 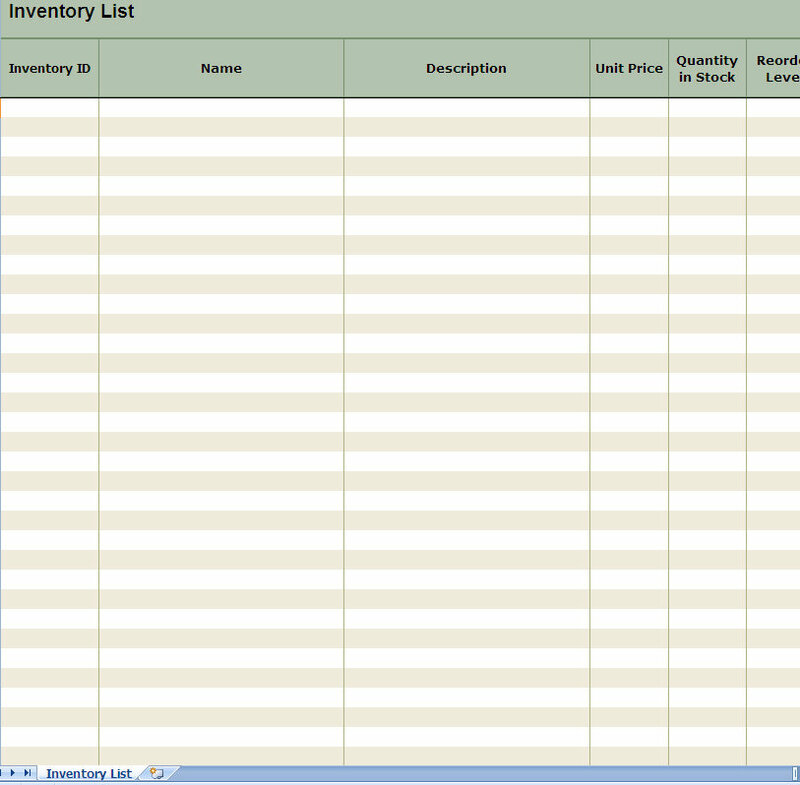 When used properly, the inventory list template is a valuable tool. It is beneficial for everyone to download this free Excel template, because it is an easy way to keep track of all types of inventory. The template can be used to list anything, such as store goods or even household items. The list is clearly organized and can be printed out, saved and updated at any time.